Monoreno, in keeping with our tradition of funky, easy care, European inspired styles, caught our eye at the NYC market. Beautifully made and excellent quality at an affordable price. We are pleased to present the newest Monoreno styles. Monoreno Cargo Pant. 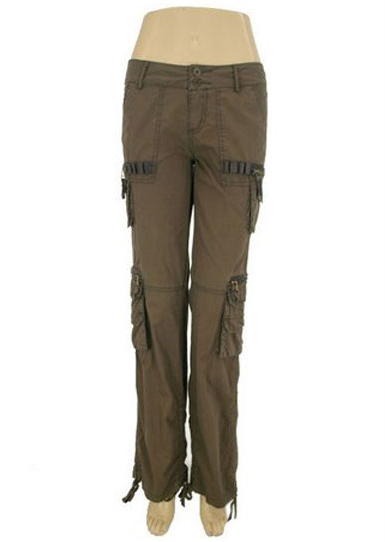 Beautiful 100% cotton cargo pants with two zipped pockets on each leg. Ties at the bottom of leg. Belt loops on waistband. Pre-washed.